Sulwhasoo is an indulgence, a luxury product that I have seen before and sample tested, but never had the opportunity to purchase and use. 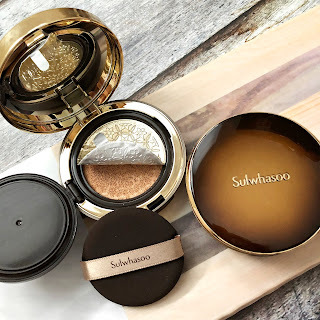 I had to fully put the product to the test by spending the last few months trying out the items that were generously sent to me for review/consideration. If you're interested in reading my thoughts and learning more about the brand - then keep on reading below! For those who know me personally will know that I am a firm believer of holistic health care, I had many incidences of going to my holistic doctor and seen proof of its wonders that has actually translated to show up in my bloodwork. Anyways, that's for another story. 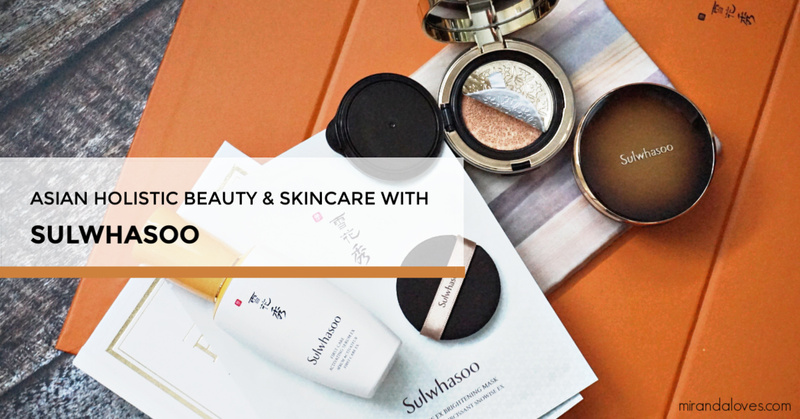 When I was approached with the opportunity to review products from Sulwhasoo and after learning that their brand and idealogy stems from the inside, offering holistic beauty solutions that are combined with advanced modern medicine to bring balance to the skin, I had to say YES immediately! This product is to be used as the first step after cleansing to prep it for the remainder of your skincare regiment - allowing it to absorb and work better. 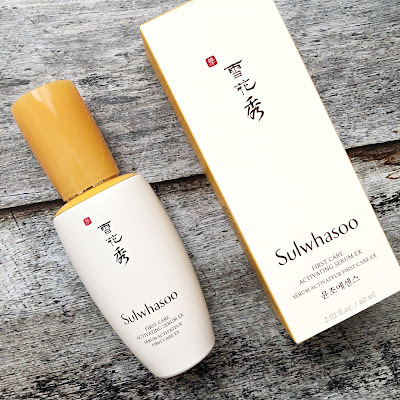 This is even suitable for those with delicate or sensitive skin and is no wonder that this serum is the number 1 selling one in Korea for the past 20 years. From over 3000 Korean herbal ingredients, only 5 were selected through rigorous trial and error which forms their JAUM Balancing Complex™ through an 18-hour process of pure dedication. This special complex is what helps to balance the skin - for me, as the months get colder and I get older I immediately feel it on my skin, it pulls and feels dry and after using this daily my skin has plumped up, is glowing and my complexion looks like it does when I just finish a facial. To use, you apply 2-3 pumps on your face by lightly patting it and should be used day and night. 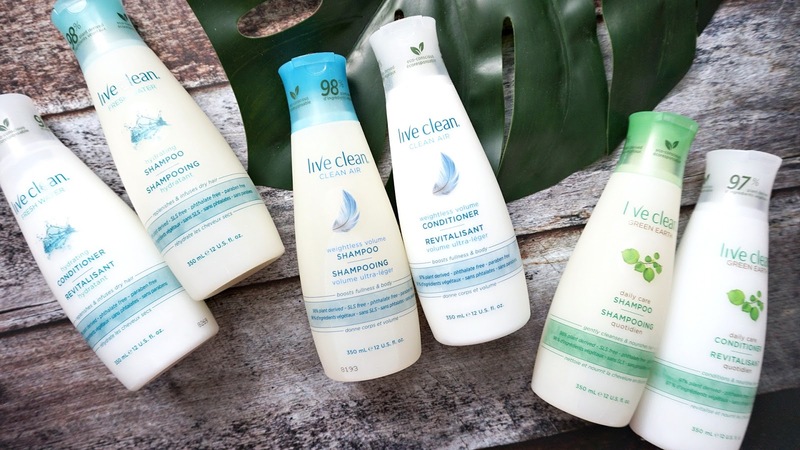 It is so lightweight that it absorbs quickly onto the skin and does not affect the remainder of your skincare application or even makeup application. The glass bottle has weight to it, and really is luxurious. There is care put behind the packaging, which I appreciate. The fragrance of this product is so relaxing - used in the morning it's a relaxing way to start the day and at night helps me calm down easing tension and stress before I do my nightly meditation before bed. This mask contains White Ginseng Brightening Power to help your skin become radiant with just after one use, which honestly is so true. Your skin doesn't become lighter, but honestly is just brighter and glowing. Again, like after you just had a facial and your skin is thanking you for giving it some TLC. 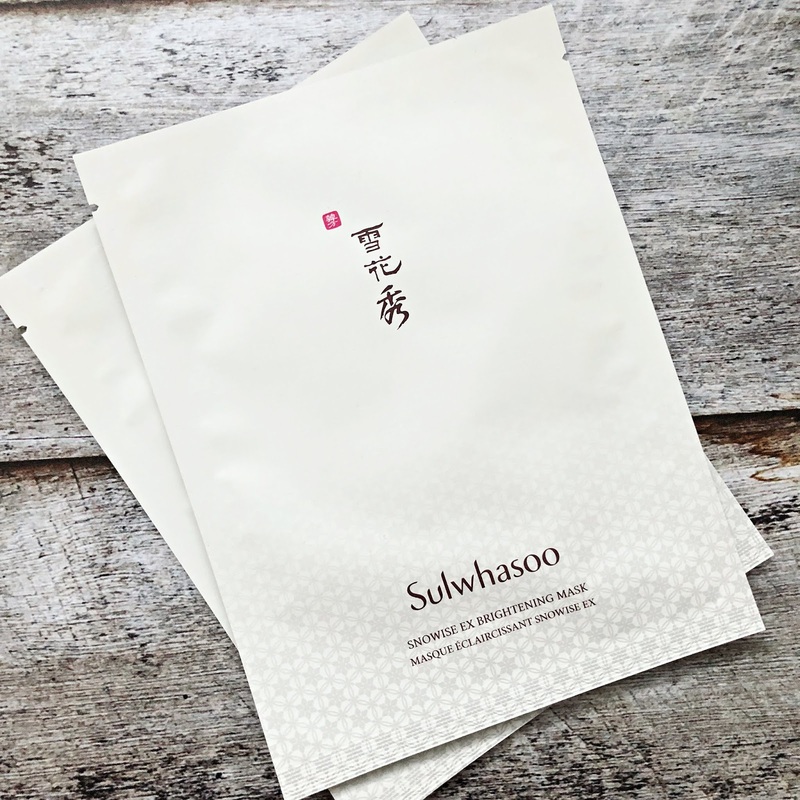 This mask is my favorite format of sheet masks, which is the bio-cellulose ones. I find them to shape to the skin the best and staying adhered to it adjusting to the shape of your face and just doing a good job in locking in the moisture and letting all the goodness of ingredients in the mask to sink in. It is recommended to leave this on for approx 20 minutes (sometimes I leave it on for longer, until it's semi-dry) and then pat the remaining serum on the skin. I actually like to fold the packaging down with a paperclip and save the serum for use the next day just to make sure I treasure every drop. This cushion foundation is said to provide a luminous finish while having skincare benefits like anti-aging products, SPF 50+ protection, PA+++ and protects against UVA/UVB rays. With a total of 7 shades that offer a natural finish, I appreciate the fact that there is both a pinker and more yellow range. My mom for example has been searching high and low for something pink based but had no luck previously until this (so I gave that one to her, shade 21) and I kept shade 23 for myself. 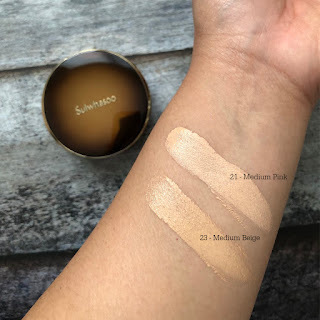 While I do understand that their shade range is not catered to the entire market, I am very surprised that I am able to find something that matched me. The ingredients include Red Pine Extract, to help with firmness and density while smoothing out appearance of fine lines and wrinkles, Plum Blossom Extract which provides anti-oxidants and clarity to the skin and Radiance Pearl Powder Complex, to give the skin that natural dewy radiance that reflects light naturally. 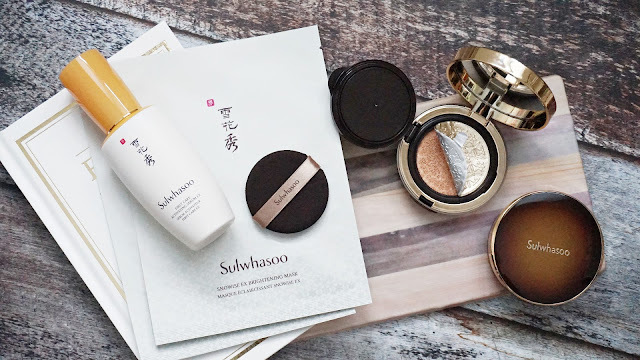 The packaging once again for this compact is sleek, elegant and luxurious. From the case to the clasp and even the foil protecting the cushion, you can see from the photo that such respect is given to the product. To use, I pat the attached sponge pad into the cushion foundation and blot it onto the skin, afterwards I take a duo-fibre brush and buff it onto the skin. I like that I can get a sheer to full (buildable) coverage and it still does not look cakey or thick. It does stay on the skin during a day's wear for me which is greatly appreciated. I personally like to wear this on just natural days where I want to look put together - that's more of the look I gravitate towards and this really helps me achieve it. Out of all the products I have tried, I would highly recommend the serum as a MUST-TRY! 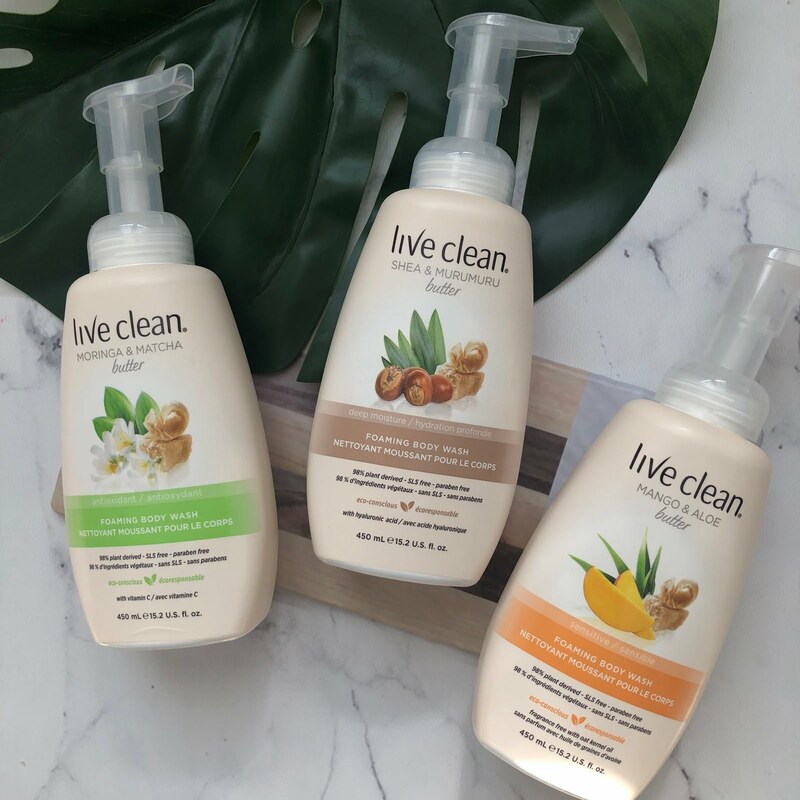 * products in this post were sent to me for review, all opinions are my own.